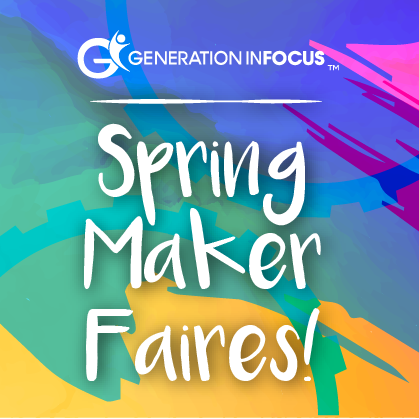 Spring Maker's Faires are around the corner! Spring is here and we are gearing up for another Maker's Faire! Our kids have worked hard throughout the school year, learning about new innovations and pushing the limits to what they think they can achieve. It is our goal to make learning fun, with hands-on projects that are created to help children develop relevant skills for the future. Our Maker's Faire events showcase all of the exciting projects children have completed with us in our after school program and we hope all parents can join us in celebrating their accomplishments. Mark your calendars for this very special event! Newer PostGeneration Infocus receives 2018 Pacesetter Award! Older PostGI reveals our NEW Mobile Maker Space!